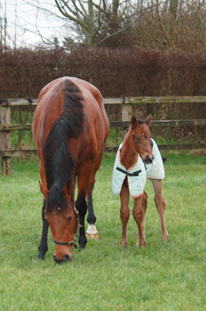 Bluebell with her colt by Dark Angel, seen here at one day of age. 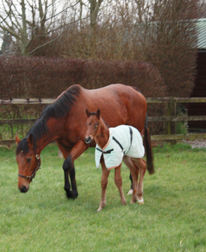 Lilbourne Lad's half sister Bluebell foaled a lovely colt by Dark Angel on Friday night. 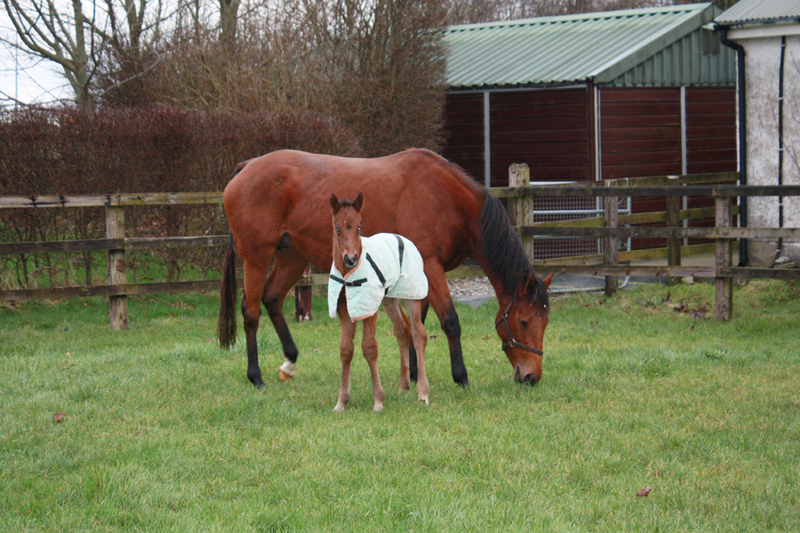 We are delighted and she is the perfect mother! 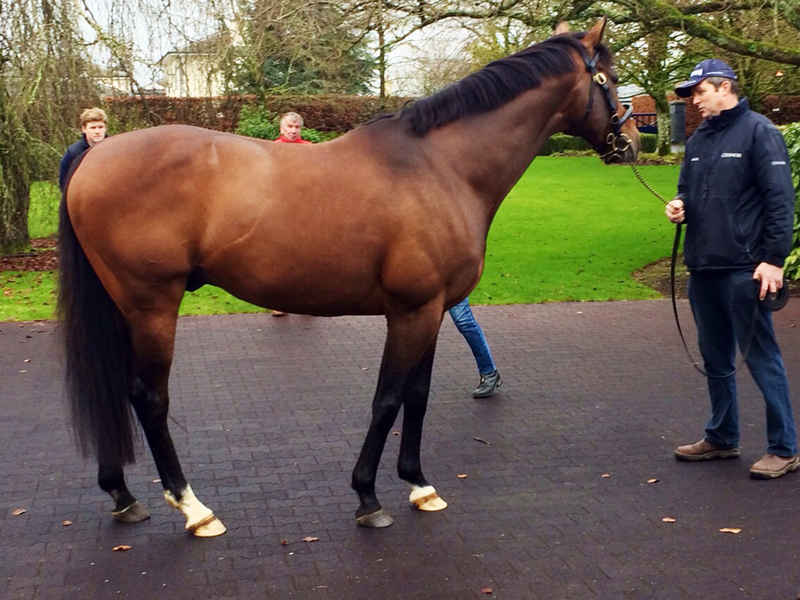 Last week we were on our annual stallion-viewing tour. 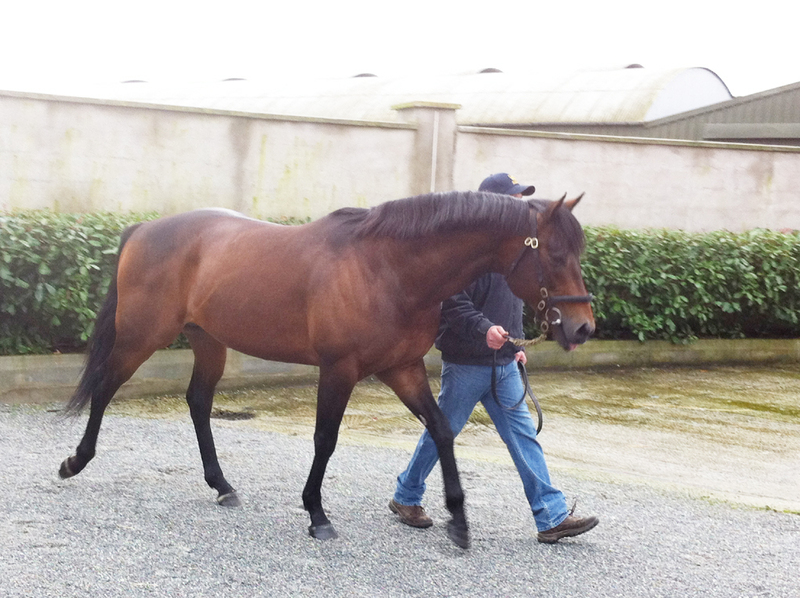 Rathbarry Stud, the home of Lilbourne Lad and his sire Acclamation was our first port of call on our stallion viewing tour. 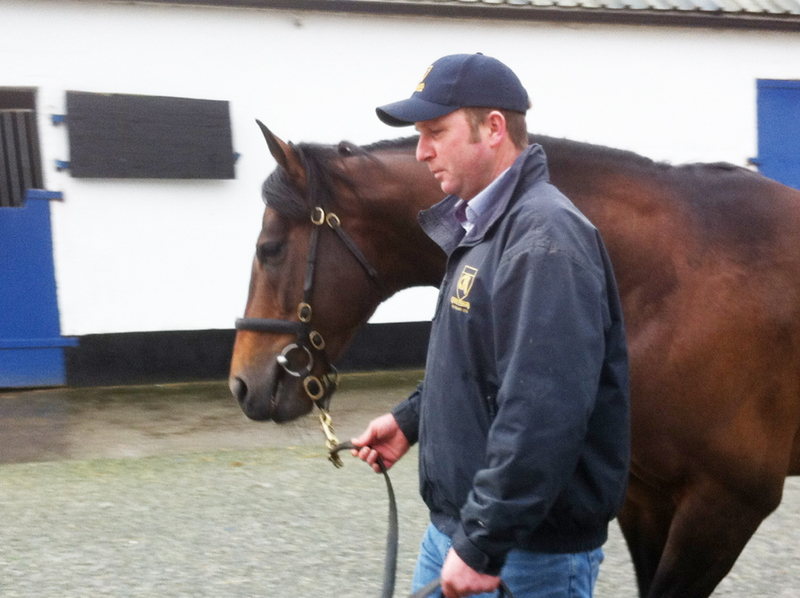 It is always a pleasure to visit the Cashmans and to see a homebred young sire is a big thrill. Lilbourne has kept his athletic looks and loose walk and will hopefully get some winners on the board early on. 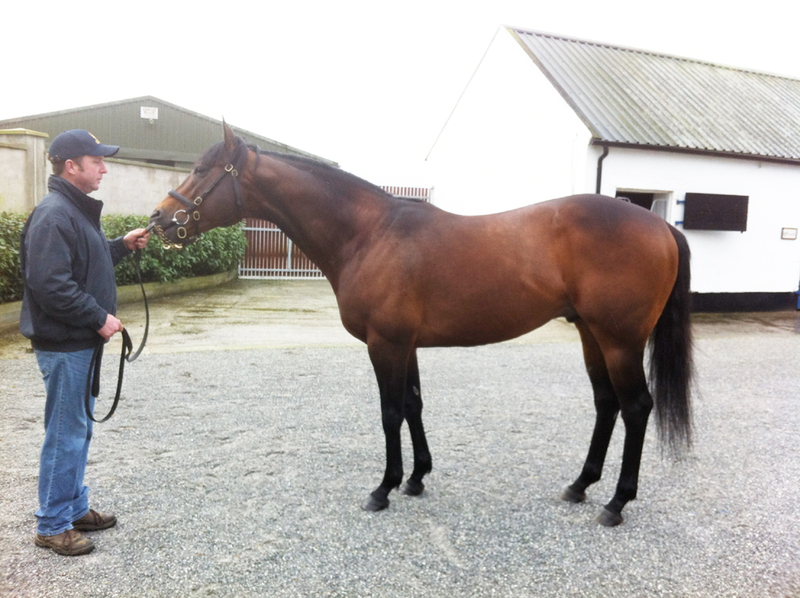 Hugely exciting is the fact, that his dam Sogno Verde is in foal to Galileo. 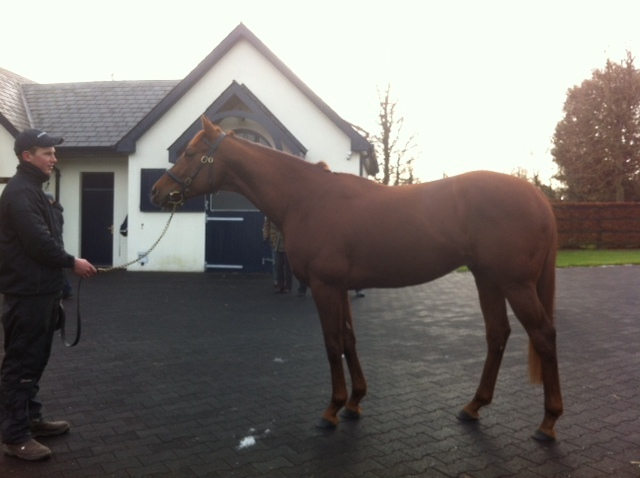 Next stop was Coolmore Stud who is offering a huge choice of well-bred and successful racehorses. 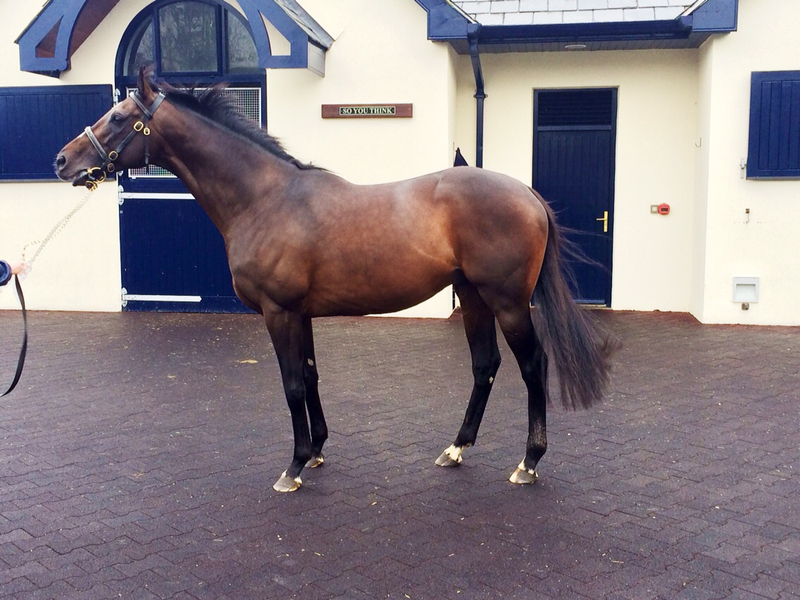 It is getting bigger all the time and there are more flat stallions than ever stationed at their other stallion base, Castle Hyde Stud. 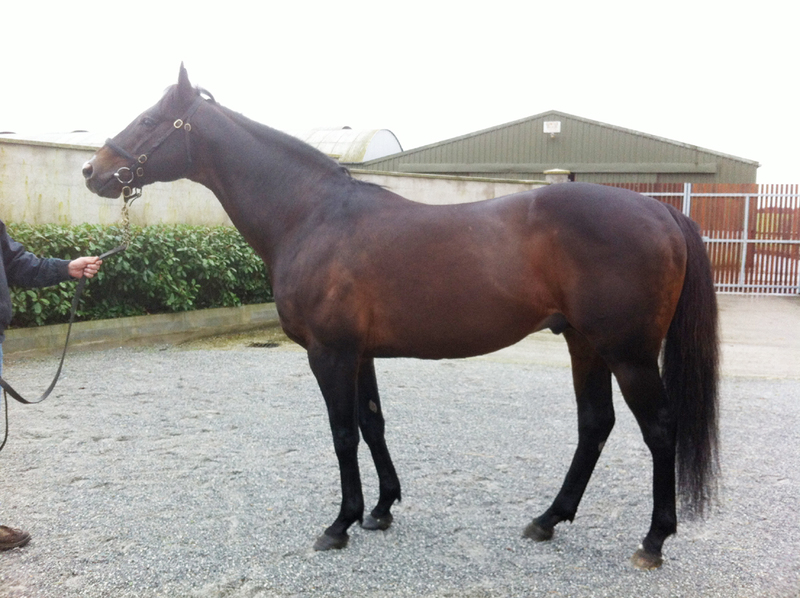 However, no matter how big the choice, to find what one perceives to be the right stallion, is never easy. There are so many factors to be considered aside from suitable conformation, temperament, racing and distance aptitude, pedigree and price. It is a fashion-driven industry and one would do well if one could look into the future. Sometimes it is not easy to try and listen to intuition and breeder's instinct. And of course, luck contributes a huge part to success. L to R: Camelot, Excelebration and Rip van Winkle. 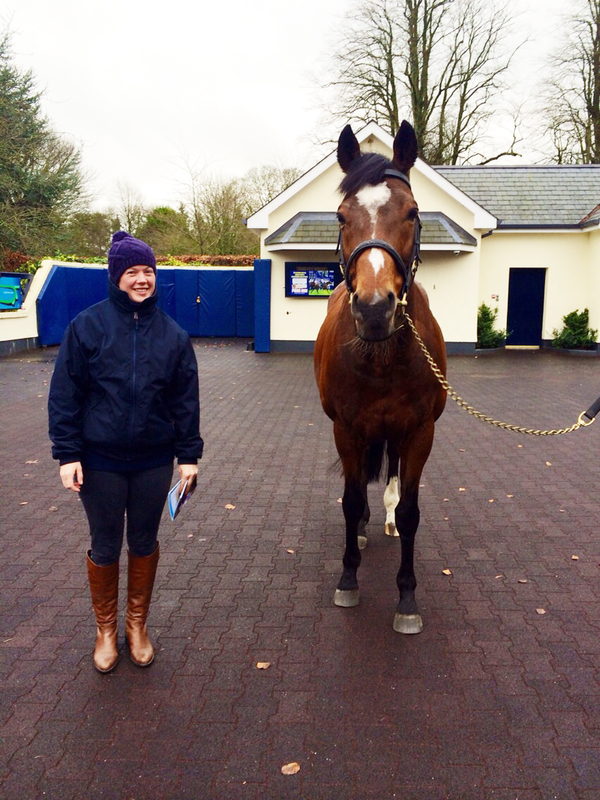 Two champs: Sophie and Galileo. Thanks Sophie for taking the pictures! 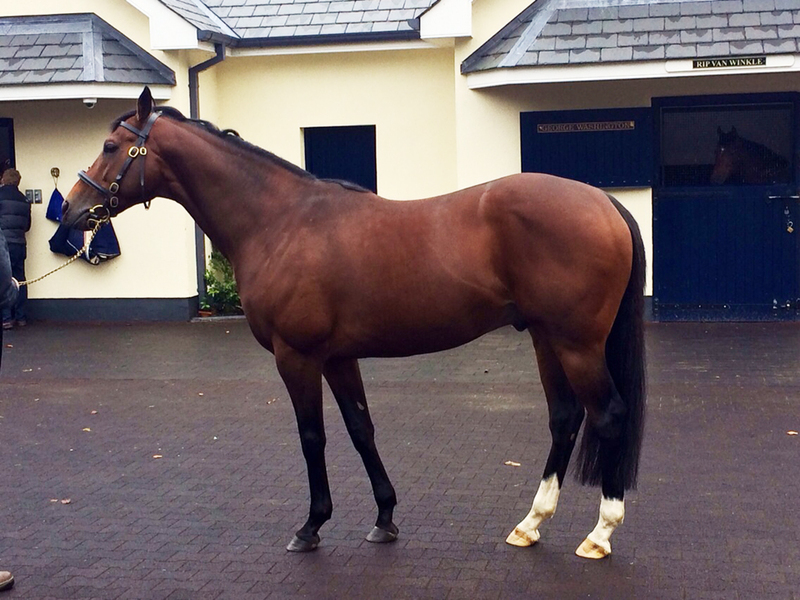 Bluebell will visit first season sire Australia (below).